Ods Control 10 Replacement Battery (Genuine Component). This Battery Fits All Ozroll Ods Controllers, Smart Drive & Smart Control 10 Including Rf Models: Free Post Within Australia. Home/HOME & GARDEN/BLINDS, AWNINGS & ROLLER SHUTTERS/OZROLL ROLLER SHUTTERS/ROLLER SHUTTER SPARE PARTS / COMPONENTS/ODS Control 10 Replacement Battery (Genuine component) 15.260.000 This battery fits ALL Ozroll ODS Controllers, Smart Drive & Smart Control 10 including RF models. ODS Control 10 Replacement Battery (Genuine component) 15.260.000 This battery fits ALL Ozroll ODS Controllers, Smart Drive & Smart Control 10 including RF models. This Item is shipped direct from Ozroll via Express Post. Miller Canvas is an authorized Ozroll Distributor for genuine Ozroll ODS Control 10 and remote control units, replacement batteries are available. 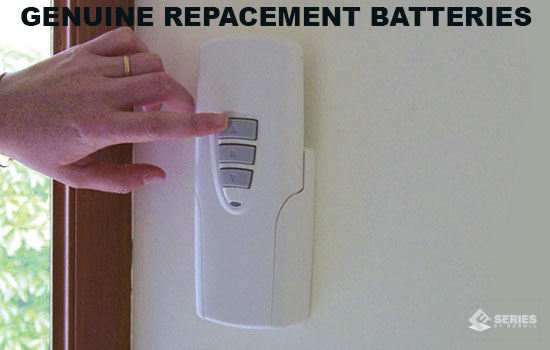 Replacement batteries for Ozroll Ods Control 10 & Ozroll Smart Control 10 used on Ozroll Roller Shutters. 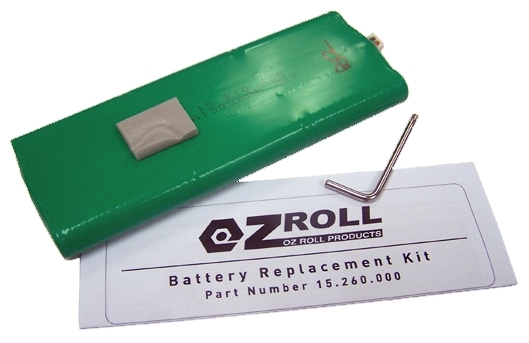 This is an OEM Ozroll battery (genuine part), it is compatible with all Ozroll ODS Controllers, Smart Drive & Smart Control 10 including RF models. Simply if your Controller looks like the one pictured then the battery will fit. Regardless of the part numbers on the back, a change in part numbers reflects a modification to the electronic circuit. 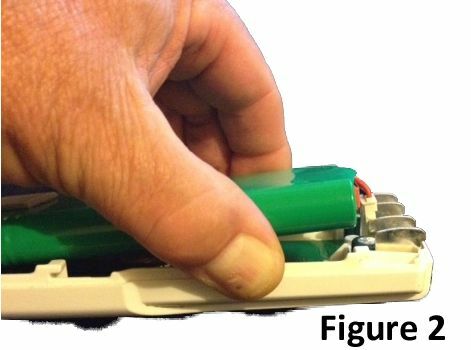 The Green replacement battery assembly on the right fits inside the control unit, it is supplied with a torx key (to remove the screw on the rear of the controller) and instructions. Very easy to fit! 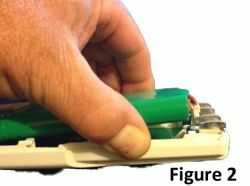 Flat rate Delivery of $15.00 per order is via Express Post, included is a torx key to remove the back of the controller case and fitting instructions. Brand New: with Six Month Ozroll Warranty. The battery will need to be charged before use if you do not have a charger you may purchase as an optional extra (select as an option before adding to the cart). BEWARE OF NON GENUINE BATTERIES THEY MAY NOT HAVE THERMAL OVERLOAD PROTECTION AND COULD OVERHEAT. This battery is shipped direct from Ozroll. 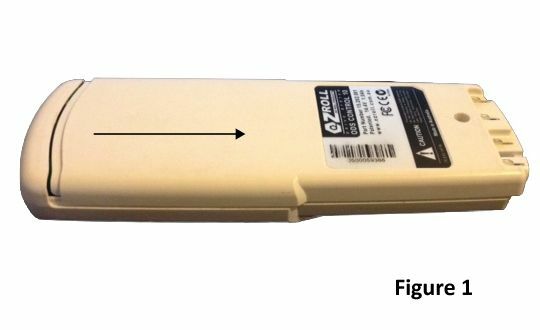 If you are unsure if this battery is suitable for your controller we guarantee if the controller looks like the one pictured then this battery will fit, please turnover your hand piece/controller and compare the following details on the back of the controller. Convert from the one on the left to the one on the right in as little as 2 minutes no electrician required 12 volts only. The battery life for the new E-Port Controller is well in excess of the old style ODS and Smartdrive battery and is expected to easily be 5-9 years. 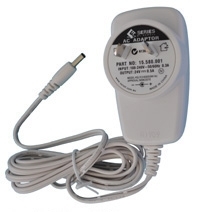 The cradle (Wall Plate) to house the E-Port Controller on the wall has a different footprint and mounting screws than the old ODS Control 10 units, however a simple low cost conversion kit is available. 2. Wallplate for an E-Port Controller. 3. Screws (3) to attach the wallplate to the conversion plate. 4. Screw head covering cap. You may also need a new charger unit. Express Post to anywhere in Australia, allow 2-7 business days for delivery. Make sure you purchase genuine replacement batteries for Ozroll Ods Control 10 & Ozroll Smart Control 10 used on Ozroll Roller Shutters. Many thanks for your help, patience and understanding in regards to purchasing your product. Excellent customer service. Definitely would recommend your online business to everybody. All Ozroll products are shipped via Express Post. A flat rate $15.00 Postage charge (per order wether for 1 item or several items) is added at the cart. Posted direct from the Ozroll Factory/Warehouse in Adelaide. Within 48 hours of receiving your completed payment. You will be notified via email once shipped. Miller Canvas is committed to providing quality products to our customers. If for any reason you are not completely satisfied with any product supplied by us, please contact us by emailing sales@millercanvas.com.au within 7 days of receiving the goods. Include your Name, Address and Tax Invoice number in the email. Provide a clear and detailed description of the problem you are experiencing. No product is to be returned without authorisation and an accompanying CUSTOMER CLAIM FORM issued by Miller Canvas. Any return will be to Ozroll and not Miller Canvas unless otherwise directed. Return packaging must be of sufficient quality to protect the goods in transit. You are responsible for ANY return costs of the goods back to Ozroll. Different products have varying warranty periods generally stated on the product description page. Upon return Ozroll technicians will inspect and test the component and will repair or replace the item and ship it back to you. Guarantees do not apply if you got what you asked for but simply changed your mind, found it cheaper somewhere else, decided you did not like the purchase or had no use for it. In addition to manufacturers’ guarantees on selected products, Miller Canvas and its suppliers provide a guarantee of acceptable quality on every product, by law. You are entitled to a replacement or refund for a major failure, and to compensation for other reasonably foreseeable loss or damage. You are also entitled to have the goods repaired or replaced if the goods fail to be of acceptable quality but the failure does not amount to a major failure. This refund policy is not intended to exclude or limit any rights which you may have under the Competition and Consumer Act 2010 (Cth) or equivalent State or Territory laws. Someone in Brisbane bought a Black Duck Seat Covers MANITOU TELEHANDLERS MT732, MT845, MLT845-120LSU KAT1ST 2 Hours ago. Someone in Brighton bought a ODS Control 10 Replacement Battery (Genuine component) 15.260.000 This battery fits ALL Ozroll ODS Controllers, Smart Drive & Smart Control 10 including RF models. 8 Hours ago.